Maxwell smashed 113 off 55 balls as the tourists chased down their target of 191 with two balls to spare at Bangalore's M.Chinnaswamy Stadium. Maxwell's knock laced with 7 fours and 9 sixes eclipsed Indian skipper Virat Kohli's 72 off 38 balls that lifted the hosts to 190 for four after being put into bat first. 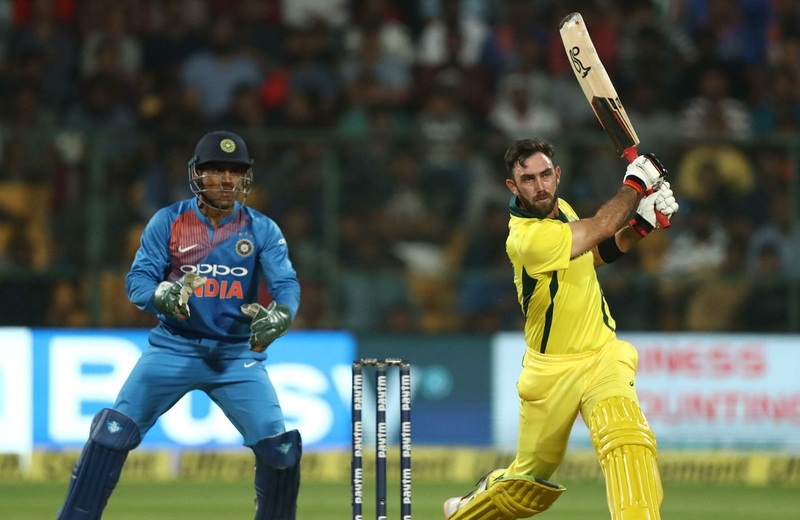 The Aussies lost two early wickets in their chase but Maxwell stood his ground with two good partnerships including an unbeaten 99-run stand with Peter Handscomb, who made 20. He finished the game with a six and four off paceman Siddarth Kaul to give the Aussies a convincing win after their last-ball finish in the opening match. Put into bat, the hosts rode on a century stand between Kohli and Mahendra Singh Dhoni, who made 40 off 23 balls, to take the attack to the opposition bowlers. Opener K.L. Rahul gave his team a brisk start with his 47 off 26 deliveries but Australia hit back with a couple of wickets to check the opposition surge. Fast bowler Nathan Coulter-Nile got Rahul, who scored a fifty in his team's opening loss, with a change of pace as the batsman was caught out at deep third man. Jason Behrendorff got Shikhar Dhawan for 14 and D'Arcy Short claimed Rishabh Pant for one with a brilliant catch from Jhye Richardson. Kohli then clobbered the ball to all parts of the ground as he hit Coulter-Nile for three straight sixes in the 16th over to entertain a raucous home crowd. Dhoni soon joined the party as the veteran wicketkeeper-batsman hit 3 fours and 3 sixes before falling to Pat Cummins.